The Irish Prison Service is recruiting new officers after almost a decade of a hiring moratorium. 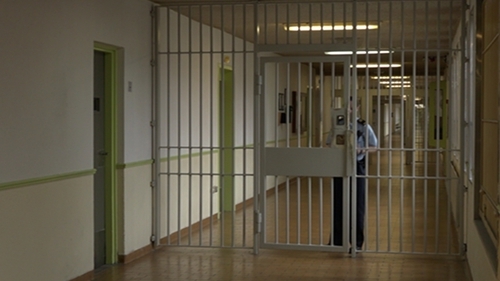 288 pensionable public service jobs are available in the country's prisons. The open call for new prison officers comes after depressed levels of recruitment over the past decade. The application process is open until the end of February with 50 recruits expected to start training in autumn. There was a hiring moratorium between 2008 and 2016. Figures seen by RTÉ News show prison grades including governors, nurses, and administration staff decreasing from 3,080 in 2016 to 3028 this year - 122 short of the ideal number of 3,150. The figures also show a downward trend in prison officer numbers. In 2016 there were 2,048, but despite the hiring of 85 recruits last year, that downward trajectory continued with numbers hitting 1,906 prison officers at the end of January. There were 148 retirements last year and 99 in 2016. There have also been over 100 resignations since 2016. Staffing levels were so challenging last year that retired officers were hired back on six-month contracts. The Irish Prison Service confirmed yesterday that 17 of those contracts are still in place. David Clarke, Governor of the Irish Prison Service College and Head of Learning and Development in the Irish Prison Service, said it is important to replace retiring staff to ensure prisons are a safe place to work. "A key part of the role of a prison officer is rehabilitation - supporting prisoners giving them support in terms of addiction, counselling, psychology support and getting to work in education and workshops," Governor Clarke said. "Those services do suffer if we don’t have the staff on our landings. So, it is critically important that we get the right staff in and we get them in over the next couple of years," he added. The Prison Officers' Association has welcomed the recruitment drive. POA Deputy General Secretary Jim Mitchell said the rate of recruitment needs to be maintained because levels of retirement will continue to be high with as many as 1,000 more retirements on the cards over the next three years. "We are welcoming this. After such an amount of time with the moratorium it had a massive affect on the manning levels in our prisons and that had a consequent affect on the safety of our members within the prisons," Mr Mitchell said. "With retirements coming up it is only going to be a short term measure and it’s a moveable feast because there was a significant amount of recruitment towards the ends of the 80s and in to the early 90s. "Those people are now coming up for retirement. Between now and 2021 there are 1,000 officers that can retire from the prison service," he added. "Really the requirement here is that there is a need for an ongoing investment in recruitment and to make sure the panels for recruitment stay level and stay consistent with the amounts of people retiring," Mr Mitchell said. He also said new recruits need to be aware of the dangerous nature of a prison officer’s job. "One of the biggest issues we have is that in 2017 there were 107 assaults nationwide," he commented. "For example, there was a female grabbed by the hair from behind and smacked in to a wall. The much publicised gang feud that’s taking place on the street of Dublin now just doesn’t finish at the prison gates. In Mountjoy alone there are something like 30 different groups that are on isolation," Mr Mitchell added. However, Mr Mitchell said the role of a prison officer is "a great job, a great career" but one applicants should be going in to with their "eyes wide open". Prisoner officers who spoke to RTÉ agreed their job can be dangerous but emphasised it is a career worth pursuing. Assistant Chief Officer and a trainer at the Irish Prison Service College Declan McBrearty said being a prison officer is challenging but it is a job that he loves. An Assistant Chief Officer at Wheatfield Prison Lorraine McCarthy said the ‘job is different, not everything you see advertised every day of the week". She says applicants for the jobs need to have ‘a little life experience". "In the long term, if you are in your twenties and looking for something different, absolutely, throw in an application because, you never know, it could be a job that you like," Ms McCarthy said. "If you have good communication skills and are not afraid of a challenge it could be the job for you," she added. "You are dealing with individuals that are deemed too dangerous to be on the streets. You’d be foolish to come in to a job like this thinking that there aren’t dangers involved." Application details for the prison officer jobs can be seen on publicjobs.ie.